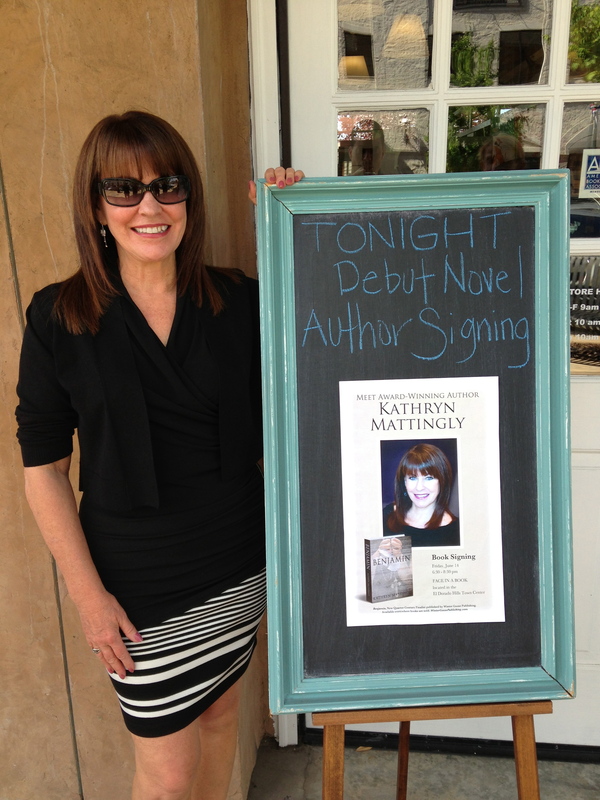 Today we welcome award-winning author Kathryn Mattingly. Her short fiction has received recognition for excellence in Writer’s Digest Award Winning Stories, Mind Trips Unlimited, Beacons of Tomorrow, and Internationally Yours: Prize Winning Stories. With her debut, BENJAMIN, she now adds novels to her literary resume. 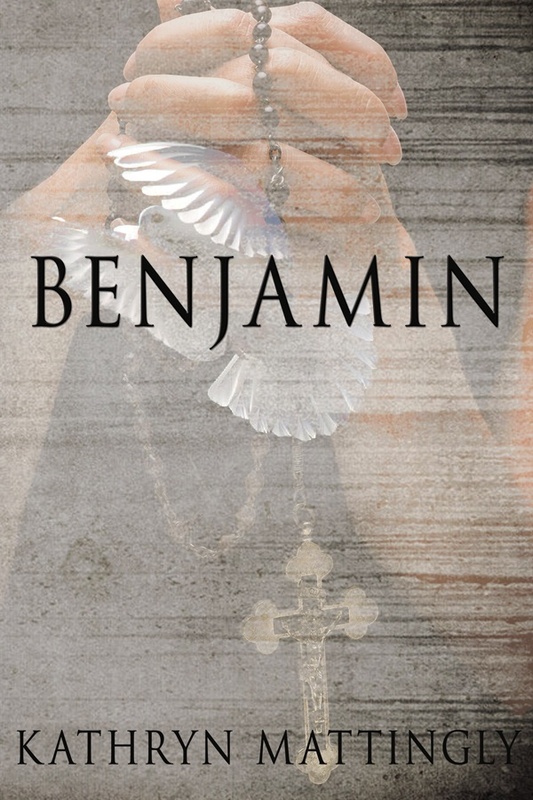 Benjamin is a suspense novel about a young boy born with an extraordinary healing gift and his mother, who must protect him from exploitation at the hands of a mad man. As if that’s not complicated enough, she must also contend with a tangled love triangle that includes a priest and the Catholic Church. Kathryn took our Deb interview, and has offered to send a signed copy of Benjamin to one lucky commenter. Details at the end of this post. Welcome, Kathryn! Thanks for visiting today! The road to publication is twisty at best — tell us about some of your twists. I had a New York agent but lost patience with his time constraints when it came to marketing my work. It was a tough decision, but I decided to go with a small press instead. A lot of my short stories were being published at that time so I had great relationships with various independent publishers. Unfortunately I became absorbed in my highly stressful career as a College Department Chair at that same time. The novels languished in a desktop file for five years until I was laid off during the recent recession and decided to dust them off and approach a few independent publishers. Winter Goose Publishing was my first choice and offered me a contract — and the rest, as they say, is history! What is one thing that’s making you happy right now? My 60+ Amazon reviews because they not only tell me that people like Benjamin, but why. I can’t express how meaningful it is to have friends, family, and especially absolute strangers, tell you why they value your work. It is evidence that I have done my job. I have affected others with my writing, and entertained them while doing so. That makes me happy! Share one quirk you have that most people don’t know about. How does it effect your writing? I have a bit of the obsessive compulsive disorder (OCD). I line French fries up by length and sort rubber bands by color, thickness, and circumference. Everything in my home and on my computer is over-organized and compartmentalized. How does this affect my writing? Well, shortly after beginning the ‘rough’ draft I outline, re-outline, and re-organize my organized outline. Then I rewrite chapter one, which I rewrite again and again until it is streamlined to my satisfaction before proceeding to the next chapter. I reread and re-edit the finished work numerous times. It is no surprise, however, that my publisher says my manuscripts are about as clean as they come. Somehow it all works because my imagination never stops, and I find that creativity soothes my OCD. Perhaps being born on the cusp of the Vernal Equinox between Pisces (creative) and Aries (organized) is to blame. 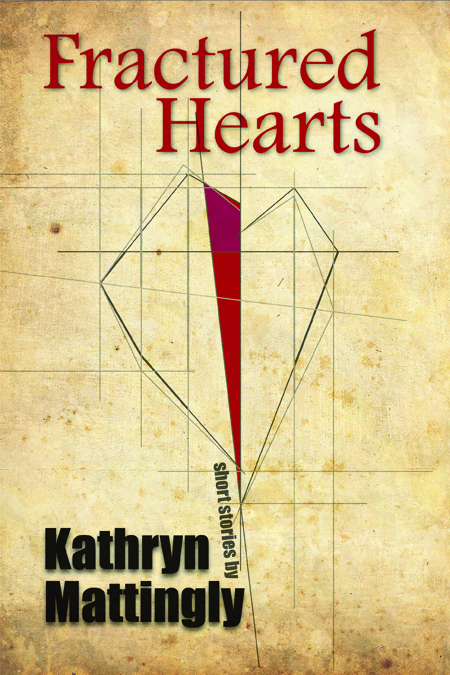 Fractured Hearts, a short story collection, releases in January. Five of the stories have won awards, including one from Writer’s Digest, which is the first contest I entered and won if you don’t count Benjamin being a New Century Quarterly Finalist. My next novel, Journey, comes out in November 2014. Like all of my novels, it is literary suspense with a love triangle to further complicate the heroine’s disheveled life. I should probably add that my heroines are quite flawed and while navigating roads strewn with moral dilemmas do not always make the right choices initially. My first writing mentor was the accomplished author, Elizabeth Engstrom, who once told me that persistence is the key to getting published. Turns out she was right. I finally understand the meaning of those words that were rattling around in my brain for years. The truth is, they possess magic if made potent by belief. So I pass along the possibilities housed within this little phrase (persistence is the key) to aspiring writers who need to not only keep the thought… but believe it. What’s your secret or not-so-secret quirk? What’s the favorite piece of advice you’ve received? GIVEAWAY! Comment on this post by noon EST on Friday, December 27th, and you’ll be entered to win a signed copy of Benjamin. Follow The Debutante Ball on Facebook and Twitter for extra entries—just mention that you did so in your comments. We’ll choose and contact the winner on Friday. Good luck!